Townsend's big-eared bat is found in the western United States, northward to British Columbia, as far east as the Rocky Mountain States from Idaho to Texas, including Kansas and Oklahoma. There are also populations in Arkansas, Missouri, Kentucky, Virginia, and West Virginia. It is pale gray or brown in color with slightly paler underparts. As its name suggests, its ears are very large and extend to the middle of the body when laid back. It also has a small glandular outgrowth on each side of its snout. Adults weigh between 7 and 12 grams and reach about 3.94 inches. For habitat, Townsend's big-eared bats prefer rocky areas containing caves or abandoned mine tunnels. Also, they have been known to inhabit old buildings. They are not migratory and remain in caves their entire lives. They hibernate during the winter months in tight clusters which help stabilize their body temperatures against temperature changes. In the summer months, they feed on nocturnal insects such as moths, beetles, flies, and wasps. Males are solitary except when ready to mate, and they even roost in separate caves than females during the summer. Mating begins in autumn and continues into the winter, and the sperm of males is stored by the females during the winter hibernation period. Fertilization occurs shortly after the hibernation period is over, and females give birth to one young after three months of gestation. Two subspecies of Townsend's big-eared bat are listed as endangered. The Ozark big-eared bat (Plecotus townsendii ingens) found only in Arkansas, and the Virginia Big-eared bat (Corynorhinus townsendii virginianus) found in Kentucky, eastern West Virginia, southwestern Virginia, and northwestern North Carolina. It is believed that only 1800 Ozark big-eared bats are left in the wild, and the Virginia big-eared bat population is believed to be 13,000. The main cause of decline is human encroachment and cave disturbance. 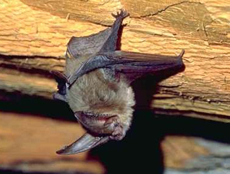 Disturbance during hibernation is known to cause bats to lose stored fat reserves, and this repeated disturbance can cause the bats to die before awaking in the spring. Conservationists are working to protect the last remaining cave habitats of Townsend's big-eared bats by minimizing human instrusions. Copyright Notice: This article is licensed under the GNU Free Documentation License. It uses material from the Wikipedia article "Townsend's big-eared bat". Glenn, C. R. 2006. "Earth's Endangered Creatures - Townsend's Big-eared Bat Facts" (Online). 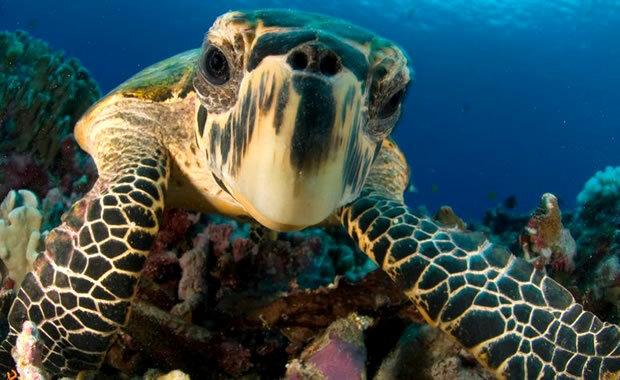 Accessed 4/23/2019 at http://earthsendangered.com/profile.asp?sp=538&ID=9. Need more Townsend's Big-eared Bat facts?